As business strategists, we are constantly looking for opportunities to get closer to our customers. Digital marketing, and the focus it brings, allows us to be more targeted and more efficient in our marketing programs. One of the faster growing techniques of digital marketing is the QR code. This tool affords businesses with the chance to communicate with customers, and prospects, one-on-one. The first time I came across what was being called at the time a snowflake, I was doing work with an international shipping company. UPS was using them to track documents and packages. This way they could find out the shipping status of the letter you sent to Hong Kong or Barcelona. Very efficient way to do it. Faster than standard bar coding. Today, these codes have taken on a brand new use as a marketing tool. 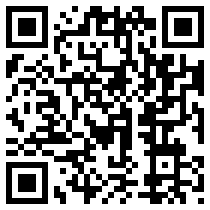 QR, short for Quick Response, can be easily read by smart phones. A customer reading them can get information about your business directly (your location, contact information), or can be taken to a web destination where they can get a coupon, or be directed to a retail location, or even watch a movie trailer. They are much better than the standard bar code, created in the 1970’s, because they can store much more data. Where barcodes typically represent a short alphanumeric record number, a QR code can store a webpage URL (most typical marketing use) but can also include a contact record, GPS coordinates, an SMS text message or other content up to 2,000 characters This ability to connect to multimedia digital content is very useful in both b2b and b2c applications, and will provide companies with important information. As a business, you want to use them in your print ads, collateral material, TV spots, etc. to provide offers, product descriptions,or a link to a video.You can also put them on your package as a way to distribute recipes, have consumers enter sweepstakes, or you can provide detailed nutritional information on your products. There is so much flexibility that you actually have the ability to change offers by simply linking the QR codes to different landing pages. If you are a retailer, a quick serve restaurant, or a travel related business, you can change your discount by time of day, day of week, etc. Though print ads and other printed materials are the most common usages, businesses can also put them on the sides of their trucks, on menus, on ticket stubs, even on convention name tags. Companies can also use them to gather customer feedback by taking the user to a survey form. In addition to providing offers or more product information, they can also be used to link to product installation information. Wouldn’t that be great for those of us that are mechanically challenged? QR codes will gain wider distribution because one of the things they do is allow us to stop having to type on our phones, a customer “want” that has to be heard. Japanese consumers have been using QR codes for over a decade with great acceptance. Our country will get there shortly.